SAN DIEGO (AP) — Five home runs. Back-to-back twice. The Oakland Athletics put on quite the power display in beating the San Diego Padres 12-4 on Wednesday. Light-hitting Franklin Barreto got the barrage started when he connected for a 424-foot, three-run home run in the second inning off rookie lefty Joey Lucchesi, who was returning from more than a month on the disabled list. Josh Phegley, Mark Canha, Matt Olson and Jed Lowrie also went deep for Oakland. The A’s hit seven homers in sweeping the two-game series. Stephen Piscotty tied Tuesday night’s game with a homer with two outs in the ninth off Brad Hand and Lowie hit a two-run shot with two outs in the 10th for a 4-2 victory. Barreto and Phegley went back-to-back with their first homers of the season in the second inning off left-hander Joey Lucchesi (3-3), who had been on the disabled list for more than a month. Barreto, hitting .071 coming in and batting seventh, homered into Oakland’s bullpen well beyond the fence in center field on a full-count pitch. Phegley homered off the Western Metal Supply Co. brick warehouse in the left field corner on a 1-1 pitch. Lucchesi hit Olson with a pitch opening the inning and then walked Piscotty ahead of Barreto’s homer. Robbie Erlin got the last out of the second before allowing consecutive homers to Canha and Olson in the third. It was Canha’s ninth and Olson’s 15th. Phegley added a sacrifice fly. Lowrie connected off Phil Hughes in the eighth, his 11th. Frankie Montas (4-1) benefited from the long balls as he threw 6 2-3 strong innings. He held the Padres to one run and five hits, struck out six and walked three. He allowed Cory Spangenberg’s RBI single in the third. Montas was the only Oakland player in the starting lineup who didn’t have a hit. Melvin said he wouldn’t have minded if his pitcher went 0 for 4, because that would mean he went deep into the game. He went 0 for 3. Lucchesi went just 1 2/3 innings, allowing four runs and three hits. Trailing 10-1, the Padres had infielder Cory Spangenberg pitch the ninth. He allowed two runs on two hits and two walks in his second appearance of the season. San Diego’s Christian Villanueva homered in the ninth, his 16th. Padres: Placed RHP Bryan Mitchell on the 10-day disabled list with an impingement in his right elbow to make room for Lucchesi on the 25-man roster. Mitchell (0-3, 7.08 ERA) hasn’t pitched since June 5. Mitchell has been disappointing since being acquired from the New York Yankees along with third baseman Chase Headley. The Padres wanted Mitchell so badly they were willing to take on Headley’s $13 million salary, but the deal has backfired. 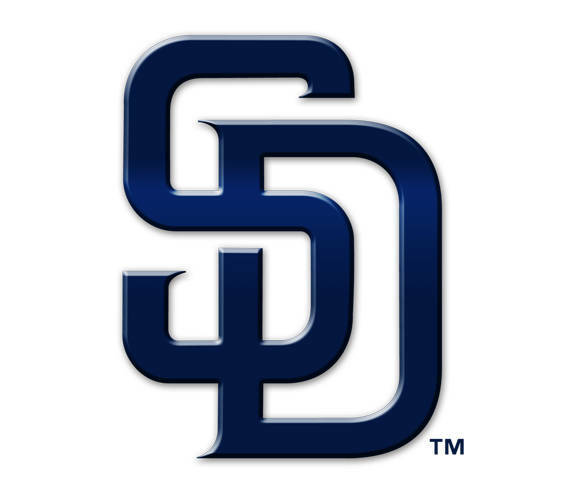 Headley was released on May 19 and Mitchell was demoted from the rotation to the bullpen. Athletics: RHP Chris Bassitt (0-2, 2.45) is scheduled to start Thursday night’s opener of a four-game series at the Chicago White Sox, who counter with RHP Lucas Giolito (4-7, 7.19). Padres: RHP Tyson Ross (5-4, 3.51) is set to start the opener of a four-game series Thursday night at San Francisco, opposite LHP Madison Bumgarner (0-2, 4.67). E_Galvis (2), R.Lopez (1). DP_San Diego 2. LOB_Oakland 6, San Diego 7. 2B_Galvis (14), F.Reyes (3), R.Lopez (1). HR_Lowrie (10), Piscotty (5). SB_Semien (5), Jankowski (12). Umpires_Home, Tom Hallion; First, Sean Barber; Second, Phil Cuzzi; Third, Dan Bellino. This entry was tagged athletics, Baseball, Craig Stammen, MAC, MLB, Oakland Athletics, Padres, San Diego Padres, Versailles. Bookmark the permalink.